More power to the feedback giving users! 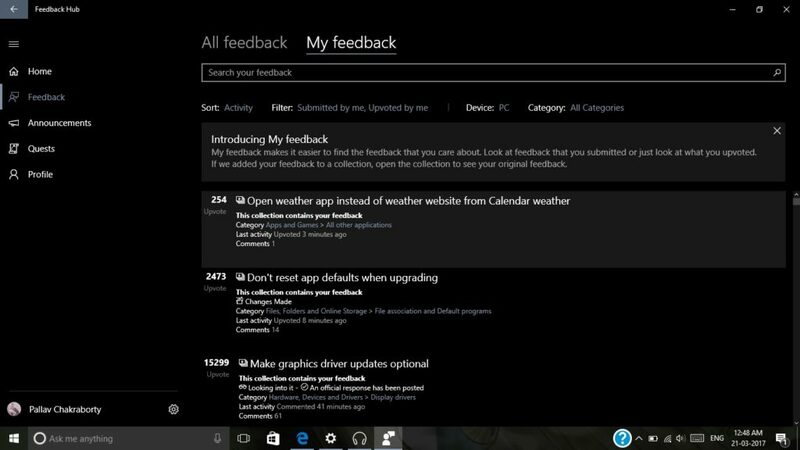 Feedback Hub is one of the most important apps for Windows 10 users. It is used to send feedback, suggestions and bug reports to Microsoft by the insiders. That doesn’t mean normal users don’t use the app to voice their opinions(and occasional frustrations)! The app, which is an integral part of Windows 10, has received quite an update today. The version number is now 1.1702.653.0, in case you were keeping track. Getting some nice UI changes, it has also incorporated a ‘My Feedback’ tab. As the name suggests, this a place where you can see all your submitted, up-voted and commented feedbacks. Previously available for insiders, the update is now rolling to all, PC and Mobile users alike. You should grab this update and start submitting all the grievances you have. 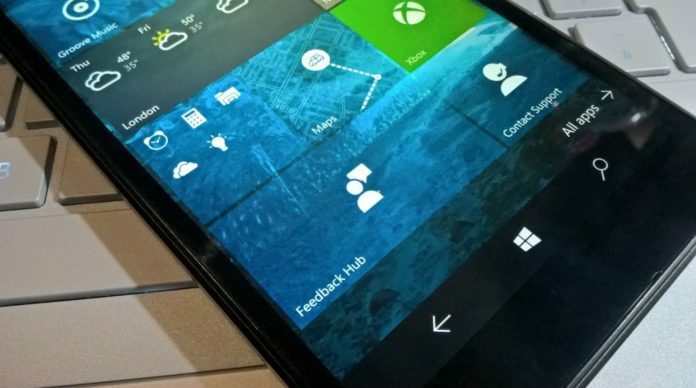 Microsoft has made it easier for users to voice their suggestions about the OS and apps through the Feedback Hub app, as compared to the UserVoice Forums before. Submitting your feedbacks and suggestions have never been so easier before! The update is currently live in the store and you can grab it via this link.